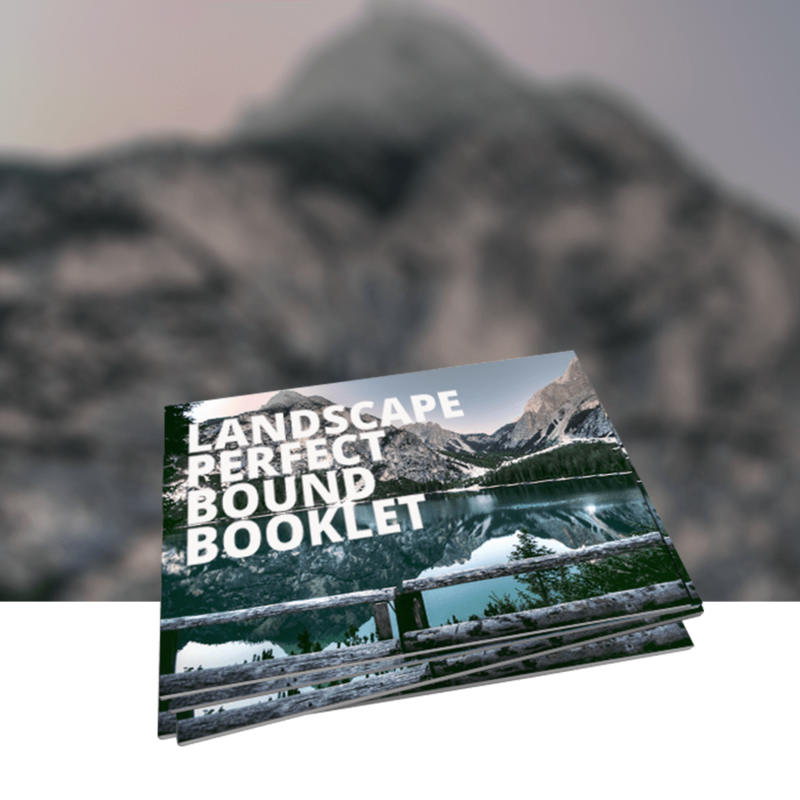 A4 Landscape Perfect Bound Booklets - very tidy! A4 Landscape Perfect Bound Booklets - very tidy! Crisp and clean lines exude quality, and that is representative of your company. Landscape orientations give a different profile to showcase your widescreen images and products in a way not usually done, so stand out from the rest and chose the landscape A4 brochures to get noticed! If you need a design we can help you, alternatively you can use your own designer and upload the PDF files through our website via wetransfer and we will proof and process your print job for you! With over 10 years in printing you have come to the right place!